Captain Demi (Ed Harris) is scheduled to be put out to pasture. 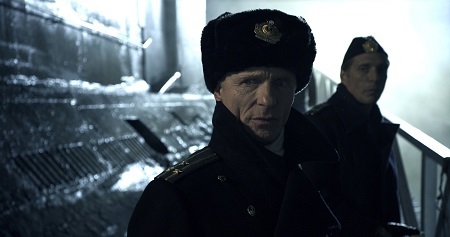 Believing he has returned from sea for the final time, the Russian naval veteran is surprised when his commanding officer, a man he shares a cloudy past with, Admiral Markov (Lance Henriksen), orders he and his men back out into the ocean for a final time. They are told to shepherd a pair of KGB operatives, their leader a shady man named Bruni (David Duchovny), to an undisclosed spot in the Pacific, ostensibly to observe the American fleet out doing maneuvers. Their real objective is much more ominous. 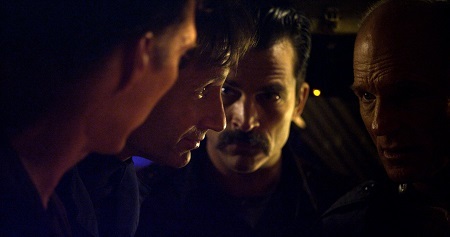 A hardliner with a longstanding grudge against Demi, Bruni is anticipating the Captain to determine he is in over his head and allow himself to be manipulated, and he also expects his crew, most notably First Officer Alex (William Fichtner), Political Officer Pavlov (Johnathon Schaech) and ship’s doctor Semak (Jason Beghe) to follow suit. But once he figures out what is going on the veteran officer vows he isn’t going down without fight, and he certainly isn’t going to allow this crazed zealot to bring the world to the brink of World War III. No matter what happens to him, his crew or his submarine, Demi knows one thing is certain: Bruni must be stopped. 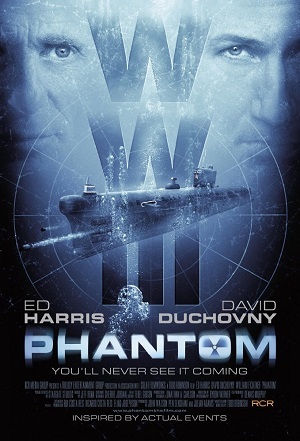 The Cold War submarine thriller Phantom is inspired by a real-life crisis involving Russian submarine K-129 in 1968. It mysteriously sank only to be brought back to the surface decades after the fact, both Soviet and American governments ominously mum on the events that led the ship to its watery grave. The movie, written and directed by Todd Robinson (Lonely Hearts), takes these vague historical events and crafts them into a Das Boot meets Hunt for Red October meets Crimson Tide meets K-19: The Widowmaker underwater rollercoaster ride that is as handsomely produced as it is dramatically waterlogged. 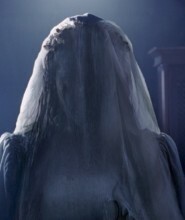 Surprises are few and far between, while the outcome is rarely in doubt, and while the director’s use of restraint and subtlety is laudable, there are times when the movie shuffles its feet in circles going aimlessly nowhere. But the movie is smart, never belittling the audience’s intelligence. It refuses to utilize cheap theatrics to get any of its points across. While many of the twists aren’t hidden particularly well, the way Demi and his crew react to Bruni’s attempted takeover is still suitably heroic. These men, led by a flawed man who has made mistakes but has commanded his crew with honor and integrity earning their collective admiration and respect along the way, all go above and beyond. Their selfless courage is contagious, watching them a testament to sacrifice and heroism worth taking note of. Harris dominates, his performance as Demi full of texture and nuance. He dives into this man’s recesses, milling through the muck and the mire, finding a way to ease the man’s pain and fix the hurt in an emotionally resonant manner. He is the reason the movie is as worthwhile as it is, and as good as Fichtner, Duchovny and others might be it is Harris alone who centralized my attention and kept me sitting in my seat eager to discover what was going to happen next. 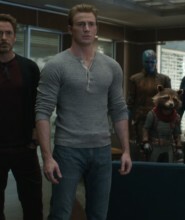 If only Robinson’s script showed some style and didn’t telegraph the answers to its most intimate secrets so blatantly. It does not earn the melancholic ending it goes out on, the director hammering home the melodrama with far more force than necessary. I do have a feeling I’m going to be kinder to Phantom than most, more forgiving of its cliché missteps than maybe I should be. For me, the inherent power of Harris’ performance helped the film to overcome many of my issues, the veteran actor’s commanding presence enough to make giving this Cold War thriller a look all by itself.